All the goodness of apple cider vinegar, without the tart taste! 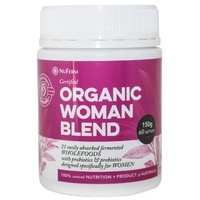 100% natural, vegan formula, perfect to use while on the go. 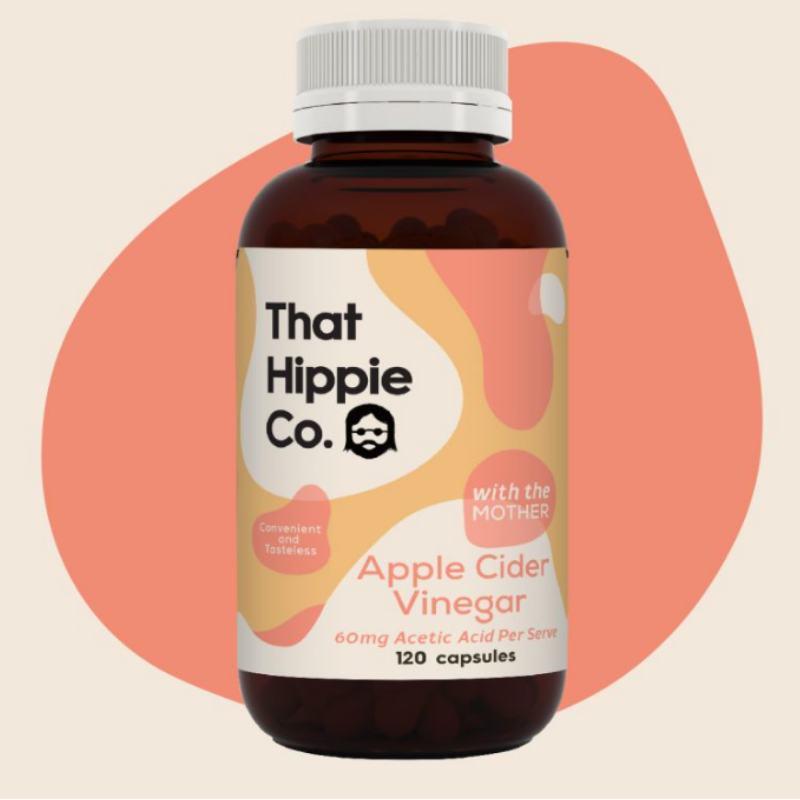 That Hippie Co Apple Cider Vinegar capsules are carefully processed to retain the benefits of the ‘mother of the vinegar’, a natural source of enzymes and probiotic organisms. For centuries, people have been drinking apple cider vinegar for the health benefits. 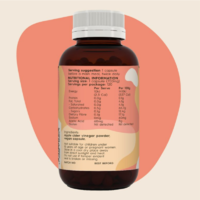 Enhancing digestive function, less feeling of bloating and maintenance of normal blood sugar levels in healthy individuals are just the tip of the iceberg when it comes to apple cider vinegar. While many people choose the option of drinking apple cider vinegar, apple cider vinegar capsules are now available for those who want a convenient and tasteless way of enjoying the benefits. 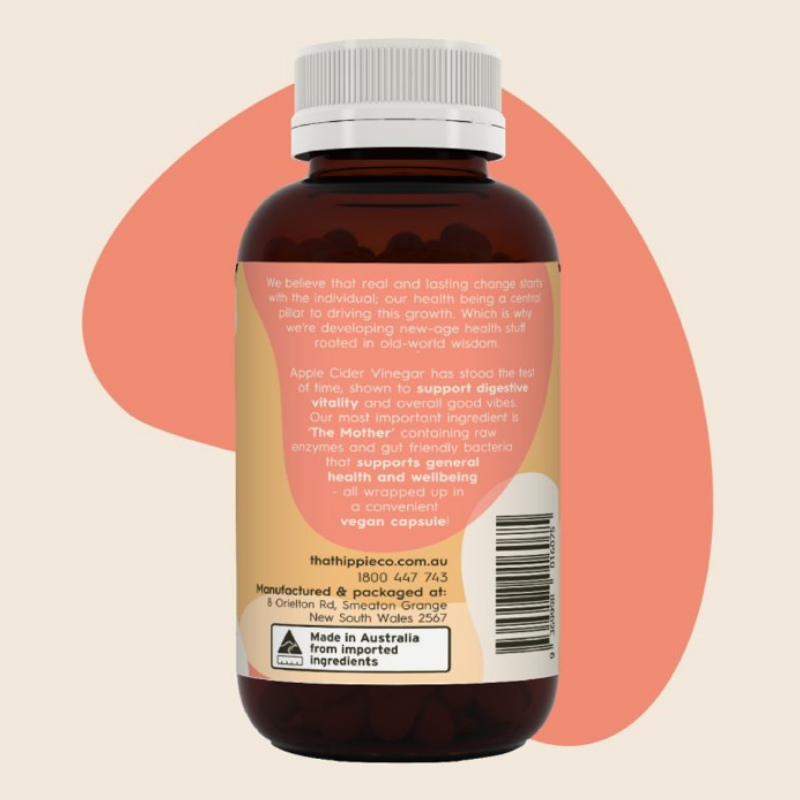 Often used alongside a juice cleanse by people looking to enhance their health, vinegar tablets have helped thousands of people around the world for hundreds of years. There are various benefits of apple cider vinegar, which is why so many people are asking where can I buy apple cider vinegar? 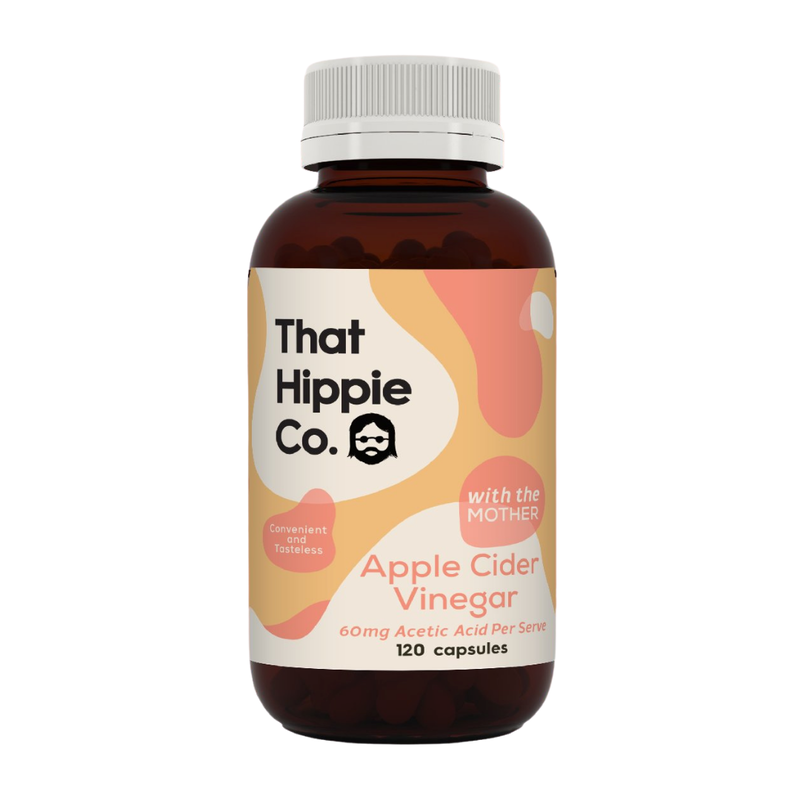 That Hippie Co has created apple vinegar cider tablets for a super convenient and tasteless way to keep your health on track. These are specially designed for those who are constantly on the go, but who want to take care of their gut health. Gut health is an incredibly important aspect for maintaining a balanced, healthy lifestyle, both mentally and physically. 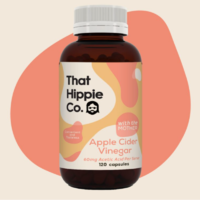 That Hippie Co apple cider vinegar capsules act as a natural probiotic, ensuring that your gut is supported with good bacteria to help aid your digestion and overall wellbeing. Numerous sources recommend drinking apple cider vinegar on a daily basis with water. Apple cider vinegar should definitely be a part of your daily routine, but it doesn’t have to be unpleasant. It can be as simple as swallowing an apple cider vinegar tablet with your morning cuppa. And what about the mother ingredient in apple cider vinegar? 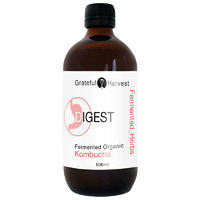 This is the most important of all our ingredients, it contains raw enzymes and gut friendly bacteria that helps to maintain good health. 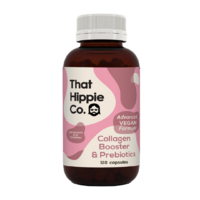 Plus, That Hippie Co capsules are all wrapped up in a convenient vegan capsule. 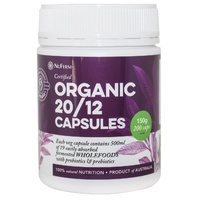 One capsule before a meal, twice daily.